JEIO TECH is a Reliable Partner for helping you succeed ! Our reliable products are designed following the international standard IEC-61010-1. 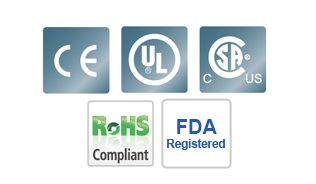 We are also an accredited ISO 9001 / ISO 13485 / CSA / CE / UL / RoHS / FDA Registered. and user-friendly products aiming at setting new standards for the global market." Specialized and reliable laboratory equipment with the accumulated professional know-how over 28 years in laboratory equipment. Perfect simulation of environmental test conditions for variety of scientific and industrial R&D purposes. Licensed medical equipment with precise temperature control and strict safety system to meet the strict requirements of the international standards. Various essential laboratory products for expending customers’ selection range.